Your HVAC system is a critical piece of your home or office. Designed to control your immediate climate, having a solid air conditioning and heating system ensures you never feel the heat—literally—or have to deal with biting conditions when the temperature drops. But, while a well-performing heating and AC system is essential, even the best need maintenance and occasional repairs to keep performing. That’s where we come in. We’re Nashville’s heating and air conditioning experts, dedicated to efficient, high quality service that keeps your HVAC running at its peak. Whether it’s basic maintenance, late-night repairs or a complete overhaul of your existing system, we can help. Get in touch to learn more and to schedule your no-hassle consultation. American Heating and Cooling has been Nashville’s go-to maintenance and installation provider for decades, delivering around-the-clock service and expert support to area homes and businesses. When you need HVAC support, make American your first call. And if you need last-minute late night support? Our 24/7 Emergency Service line is open day and night to ensure you’re never left in the cold. For close to 40 years we’ve been servicing your friends and neighbors in the greater Hendersonville area—and with one visit, you’ll see why they choose American Heating and Air Conditioning over and over. Our factory-trained, NATE-certified technicians ensure the job gets done right the first time, delivering quality service on-time and on budget—because when your home or office needs heat or cool air, there’s no time to wait and no time to deal with less than optimal work. In Murfreesboro, homeowners and business leaders choose American Heating and Air Conditioning for their hvac servicing and support. With a long heritage in the greater community and a reputation for quality work, friendly support and trustworthiness, American has long been the area’s choice for expert HVAC work. Get in touch to learn more and schedule a no-hassle assessment of your hvac system. Brentwood is known for its HOT summers and bitingly cold winters—not the times to find out your heating and air conditioning system isn’t up to the challenge. But when it happens and you need immediate support and servicing, American Heating and Air Conditioning is there. We’re available 24/7 to troubleshoot and provide expert repairs and maintenance to get your HVAC system back up and running. And when it’s time for something new? 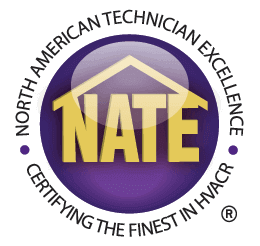 Our factory-trained, NATE-certified technicians can help select and install the right system for your home or office. There’s a reason Goodlettesville homes and business choose American Heating and Air Conditioning for their maintenance, repair and installation needs. Since 1981, we’ve been providing expert services in and around Goodlettesville, ensuring our clients have the support and servicing they need when they need it. From new system installations to emergency repairs around the clock, make American your first call. Contact us to learn more. Your home or business needs heating and air conditioning that works. And when it doesn’t? Contact American Heating and Air Conditioning any time, day or night. Our expert team can help your system get back on track fast, with 24/7 emergency service, basic maintenance options and a complete suite of installation products and services, Get in touch today and see why we’ve been Franklin’s preferred technicians for nearly 40 years. Ready To Schedule Your HVAC Service?